We are tracking four duplex properties located in the valley with exceptionally great values that are short sales, reo/bank owned or just motivated normal sellers. These homes are all located in very nice neighborhoods, and is also a great investment opportunity you don't want to miss. 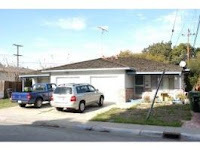 This property above is located in San Jose/Campbell area which is a high rent demand area. There is a nearby elementary school and just minutes away from Santana Row and Valley Fair Mall. 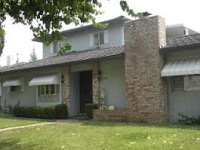 Very cozy place to live, one unit has 3 bedrooms, 2 baths, tile floors and carpet in bedrooms. The other side has 2 bedrooms, 1.5 baths, hardwood floors throughout and both sides have indoor laundry, garage and own backyard. Bright and clean and lots of upgrades that you will love, with a great location close to Baker Elementary. First unit is 3 bedrooms, with 2 bathrooms, and the other is a 2 bedroom 1 bathroom unit. Each unit has it's own laundry hook up, shared three car garage and covered car ports. This duplex is a short sale and listed for $749,000. Located in a wonderful area near the University of Santa Clara, Valley Fair Mall and Santana Row is a duplex listed for $695,000. These are 2 bedrooms and 1 bathroom units with single car garages. Finally we have one more duplex listed for $739,000, located in San Jose/Campbell area which has been remodeled just over a year ago. The units are in very good condition, first unit is a 3 bedroom 2 bath, and the other unit is 2 bedroom 2 bath. 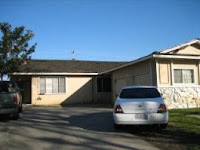 This is a short sale opportunity, so if you are looking for a great deal, in a great location, this is the one. If you have additional questions or would like more information or a tour please let me know, and I will be happy to help.